Functional hybrid-style shoe optimized for runnning and everyday activities. 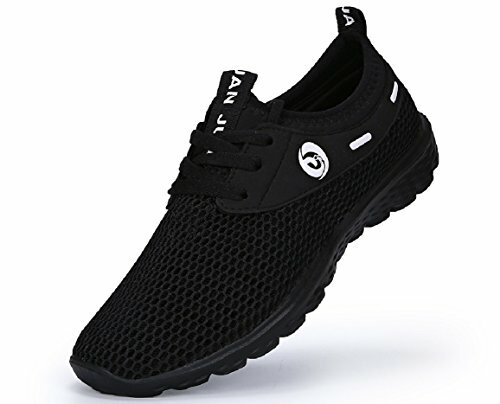 For a tighter fit or with barefeet Order as usual (Shoes will loosen up after a few hours) Ultra lightweight design provides actual feelings of being barefooted for a more comfortable and natural walk. Hydrofit (Quick-dry function) Integrated vent-mesh upper design maximizes the surface area and keeps your foot cool. Hydrophobic vent-mesh gives the wearer advanced aeration. Vent mesh (Specialized dual structure) Unique dual vent mesh structure offers incredible breathability and quick drying properties. Dual vent mesh construction allows feet to move more dynamically. Synthetic Skin Suede High-quality synthetic skin suede increases durability and stain resistant. Flex groove (Flexible movement- flex groove sole) Flex groove sole with hydro-grip outsole provides excellent traction and stability for various surfaces and terrains. Multi-directional flexible groove and cushioned insole gives balance during sports activities. Dura glide (Excellent durability EVA midsole) Optimal formulation of thermoplastic polymer with advanced technology provides for a less stiff and sturdy EVA midsole. Foldable heel tap Fold-down heel cup supplements can make simple slip-on easier. Durable and soft heel taps prevent abrasions from occurring. " If you have any questions about this product by JUAN, contact us by completing and submitting the form below. If you are looking for a specif part number, please include it with your message.